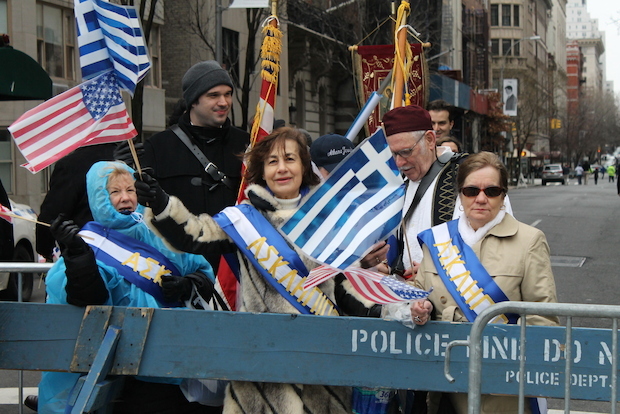 Greek -American relations have been recently through some tough moments concerning the comprehension of what, finally, the “real” terms of terrorism protection in Greece, and the western world, might be . 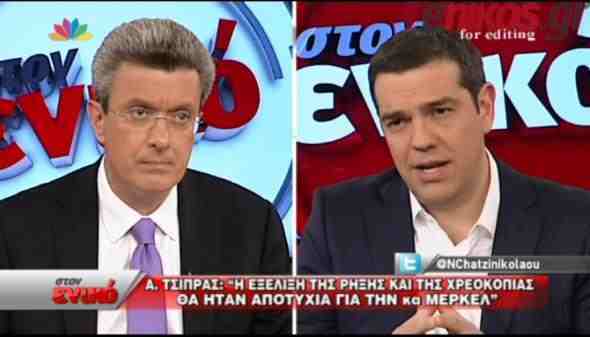 Alexis Tsipras reference to the Greek terrorist Savvas Xiros during his interview at enikos.gr and journalist Nikos Chatzinikolaou has caused the intervention of US Ambassador in Athens David Pearce. 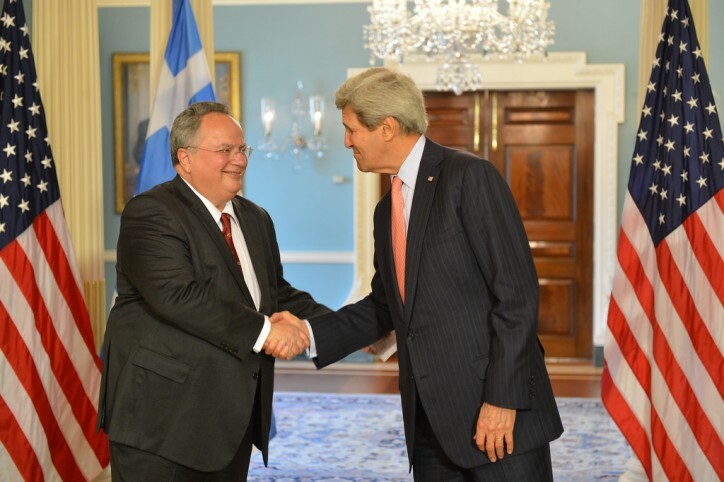 US Ambassador David Pierce, had strongly earlier expressed, Monday April 20, 2015, his deep concern over the legislation coming the same day to a final vote in the Greek parliament, which “could include cases of convicted terrorists”, as he had said, referring to the law abolishing high security prisons and the provision which would allow convicted terrorist Savvas Xiros to serve the rest of his multiple life sentence from his home. 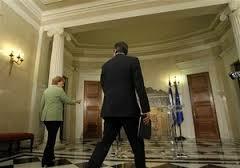 and that the new Greek law is “inconsistent” with the good partnership between the two NATO allies. David Pearce had stated, describing possibilities of letting the terrorist the chance to “activate contacts” that potentially could threaten threaten the public safety. Indeed, Prime Minister Alexis Tsipras, reassuring his Minister’s of Foreign Affairs statements in Washington, emphasised on his interview to Nikos Hatzinikolaou that terrorist Savvas Xiros, due to the 90% dissability, if included in the law to serve his sentence at home he would be guarded and would be monitored by the bracelet. But the detail “guarded” was never reported, by the media covering the interview neither has been included on the transcript of the interview that was posted the day after. Tsipras on his interview repeatedly underined that the “Greek Prisons are out of control”, emphasising that the Greek government’s new prison law is determined by the fact that there are 11 decisions of the European court of Human Rights concerning prison conditions. Because in lots of cases, the legislation system itself has condemned to death prisoners that have no death penalty, the reform of the new govt law concerns prisoners’ cases of 80%+ disability allowing them to serve the remainder of sentences at home, by wearing electronic tagging devices at least. He also declared his thesis pro the repentance statement of such prisoners , something that terrorist Savvas Xiros has repeatedly denied since long time. As a follow up of the Prime Minister’s interview the day after, it had been translated by voice over by a translator on Youtube, on a video where Alexis Tsipras, by the voice of the translator, appeared, disastrously accidentally, to call terrorist Savvas Xiros “a gentleman” .This was followed up by writen the phrase “gentleman …” on the transcript that followed posted on the web, which unfortunately made the round of the international media. A. TSIPRAS: Mister Chatzinikolaou, as I read from the press , ( Xiros) himself that refuses to go out wearing this ankle monitor. He has refused it, so it is not true. 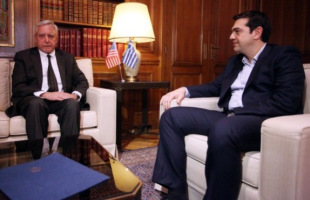 A. TSIPRAS: Mister Chatzinikolaou, as I read from the press , that this gentleman refuses to go out wearing this ankle monitor. He has refused it, so it is not true. The day after the interview Peter Spiegel, the Financial Times journalist, twitted, the day after, the translated part of the interview, by the lead, Tsipras defending law denounced by US ambassador , that could free the November17 terrorist . Pearce replying to a tweet by Financial Times journalist Peter Spiegel, who uploaded the relevant video, said that ‘Xiros should not set foot out of prison before his sentences are served’. 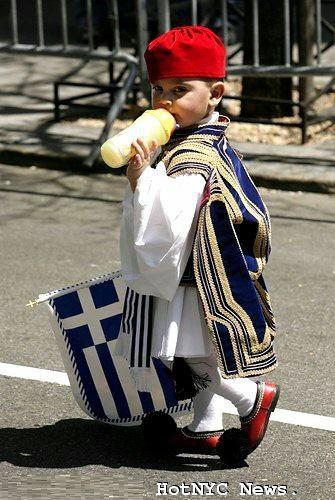 On the tiny edge that Greece is finding itself during these moments by the overt unfriendly stance of Greece’s lenders towards the country, noone, from the Greeks at least, would desire to stir, the country’s foreign relationships, especially with Greece’s major ally. 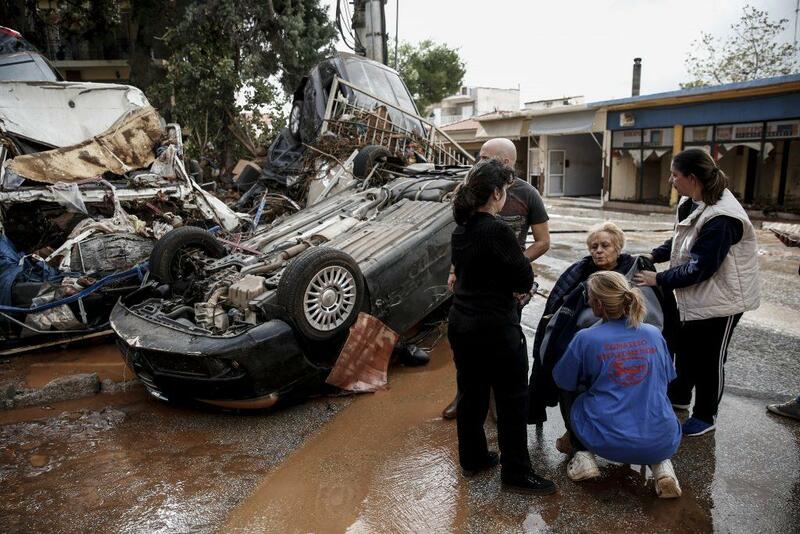 But it is Greece’s missluck, on these critical hours, the diplomatique press experience not to have been existed till now by the major awareness needed for the sensitivity of a “word-by-word” hype of making international headlines by Greece, that is routinely happening since the start of 2015. Still, by missing words and missunderstandings ,damage is done, additionally to the US Ambassador’s primer irritated reaction. 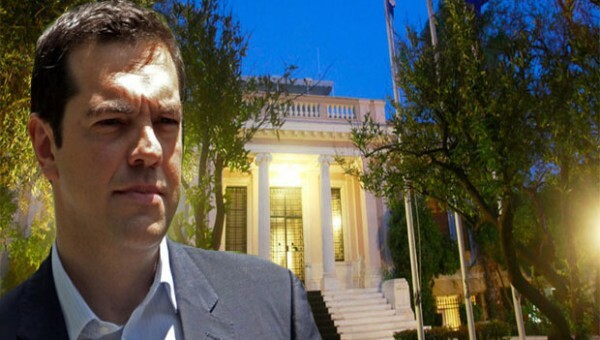 In between the first statements of David Pearce and his tweet concerning the PM’s interview, the Ambassador had visited the Maximos Mansion (where the PM’s office is) for a meeting with the Greek governmenet’s Minister of State, Nikos Pappas. 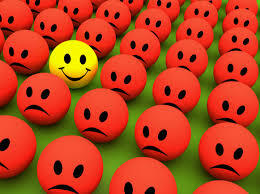 The Ambassador had been extraordinary invited after his first statements on April 20,- by which he was expressing the US “frustration” for the possibility the convicted terrorist to be let free,- as a good-will diplomatic “response” by the Greek govt side “to defuse tension caused on the two countries’ relations” as it was announced. 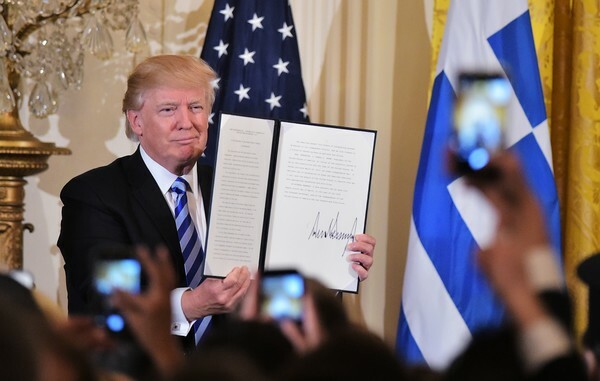 An undouptedly “accute” tension, expressed unprecedently for what is expressed till now, by the Greek-American longterm friendship on Diplomatic Affairs . said the governement’s official statement by the Maximos Mansion, after the visit. “Personally, and also on what it may concern our government,” Alexis Tsipras had added “we are twice or thrice more sensitive (against terrorism), not by definition, but by necessity, because crimes have been committed in the name of left-wing ideals. We are all the more anxious, terrorism actions NOT to be called revolutionary; these are not revolutionary actions, they are actions of exerting power. I wanted to make that clear. 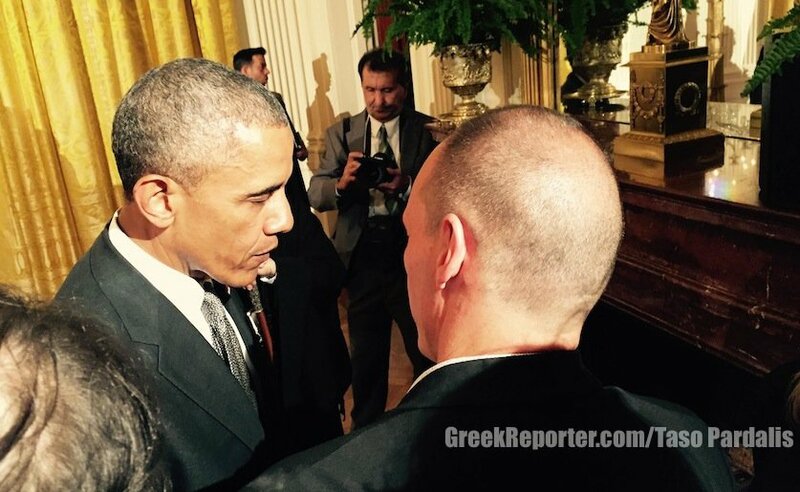 Ironicaly, where the Greek PM seats today, has been the seat of the US Ambassador…. …after the German Occupation times. It was just after the war, and actually, the American Ambassador in Athens transcended the German Admiral of the Aegean Sea who was using the mansion as his residence during the German Occupation. After the war the building was shortly used as the seat of the U.S. 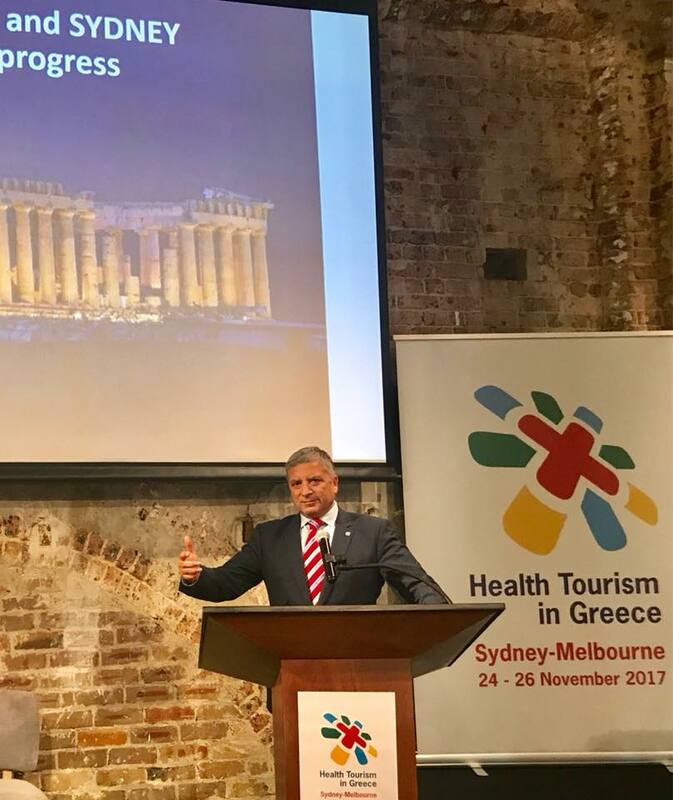 Ambassador in Athens. 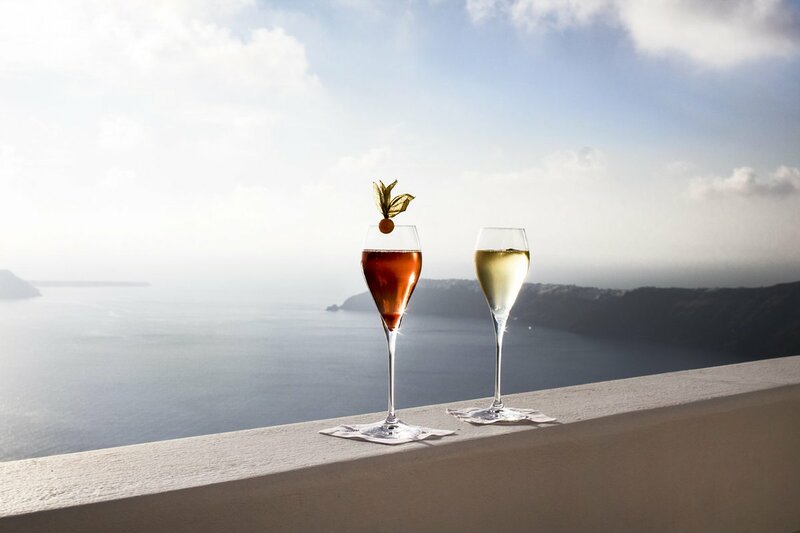 In 1952 Dimitrios Maximos sold the mansion to the Greek State at a favorable price. Consequently the building fell to misuse until 1982, when it was decided by the government to renovate it and use it as the seat of the Prime Minister. 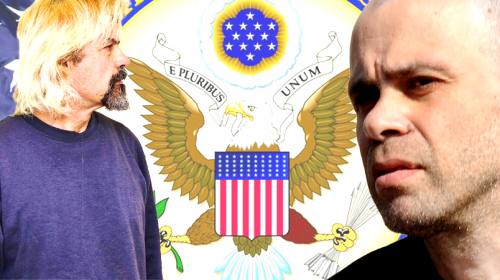 By a Media Note released by the Departement of State, on April 21 2015, Greece was informed that two of the Greek terrorists who have been active during the last years in the country are designated under Executive Order of the United States. In the same List where Christodoulos Xiros and Miaziotis are targeted had been Osama Bin Landen and the most Wanted terrorists for the USA. 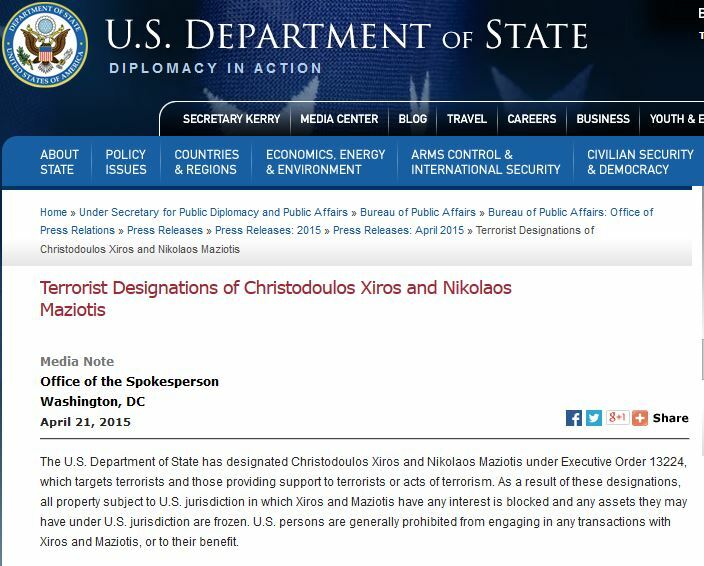 The U.S. Department of State has designated Christodoulos Xiros and Nikolaos Maziotis under Executive Order 13224, which targets terrorists and those providing support to terrorists or acts of terrorism. As a result of these designations, all property subject to U.S. jurisdiction in which Xiros and Maziotis have any interest is blocked and any assets they may have under U.S. jurisdiction are frozen. U.S. persons are generally prohibited from engaging in any transactions with Xiros and Maziotis, or to their benefit. More than half the known members of 17N are out of jail already, and all of them are now docile good citizens. Xiros’s current obsessions, at least his public ones, are not revolutionary. 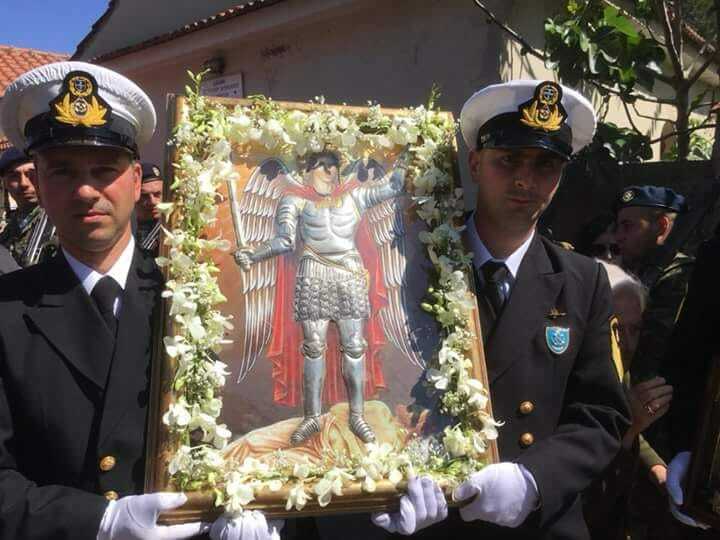 Sending home a mostly blind, somewhat deaf, partly mangled, and mystically addled icon painter will not encourage more terrorist attacks on U.S. interests.